I will introduce Japanese calligraphy and books designated as National Treasure. 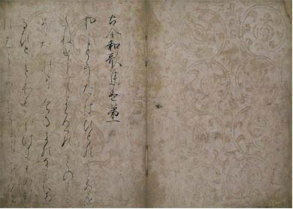 Shoseki is an important work in the calligraphy history. Followings are examples. 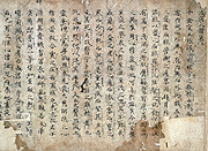 Shinkan: Handwriting documents by Emperor. Wakanmeika Hisseki: Excellent calligraphy written by famous Japanese and Chinese calligrapher. Kohitsu: Excellent calligraphy written in from Heian era to Kamakura era (9-14th century). Bokuseki: Chinese style calligraphy by Zen monks. Hojo: Calligraphy made up for preservation, appreciation and study. Tenseki is a literary work including Buddhist scripture, literature, waka poem, history book and so on. Many of tenseki are also valuable as excellent calligraphy works, but they are designated as National Treasure by their value as literature and history.